New manufactured 30 carbine ammo for the M1 Carbine to feed that World War II re-enactment fever from Aguila! Loaded in new brass cases from Aguila, this 110 grain .30 Carbine load accurately replicates the standard issue FMJ round of World War II and the Korean War. In fact, the M1 Carbine was in service up until the Vietnam War, using rounds extremely similar to these. 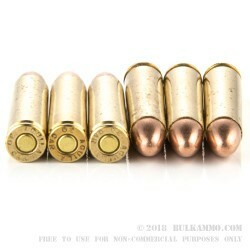 The 110 grain bullet is loaded into reloadable, boxer primed, new brass cases. During its service life, the .30 Carbine was either loved or hated by the troops that carried it. Regardless of past recollections, modern .30 Carbine ammo produces terminal ballistics similar to the legendary .357 Magnum. Even with this FMJ ammo, the 110 grain projectile creates sufficient force to be suitable for small and medium game, and in some states is even legal to take deer. 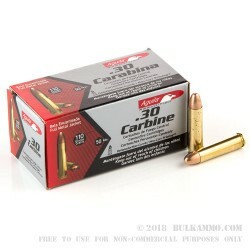 Despite being far more powerful than most people think, this .30 Carbine ammo is soft shooting and also is perfect for just plinking. 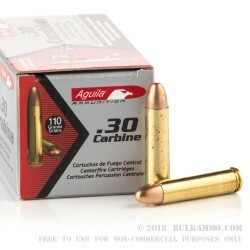 Aguila boxes their .30 Carbine ammo with 50 in each cardboard box. 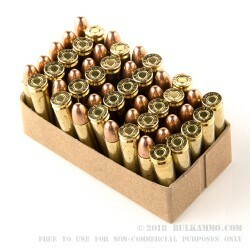 This is sold in cases of 20 boxes for a total of 1,000 rounds.